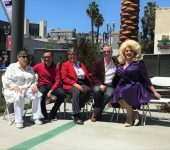 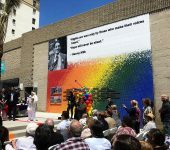 Six LGBTQ community leaders, John Newell, Raúl A. Añorve, Jewels, Reba Birmingham, Mina Meyer and Sharon Raphael, had their names and legacies inducted into the newly designed Harvey Milk Equality Plaza Memorial Wall, unveiled today during the induction ceremony at the still under construction Harvey Milk Promenade Park. 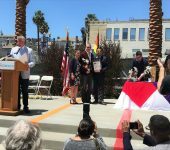 Long Beach Mayor Robert Garcia, First District Councilwoman Lena Gonzalez and incoming committee chair Ron Sylvester also spoke during the ceremony. 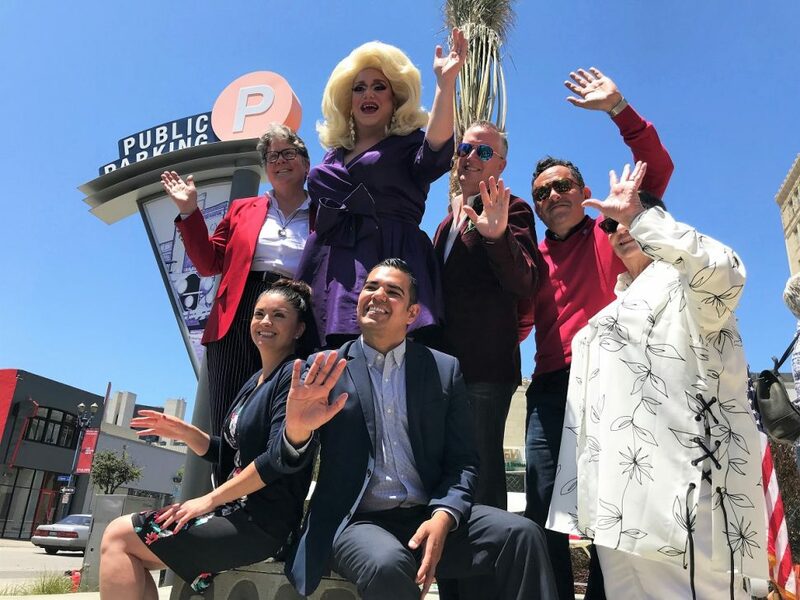 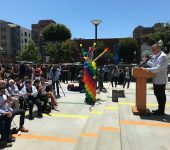 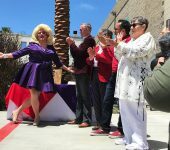 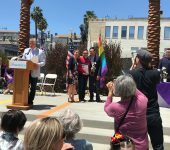 Garcia praised Añorve and the entire committee for their hard work over the past six for making the Harvey Milk Promenade Park a reality, despite some naysayers in the beginning. 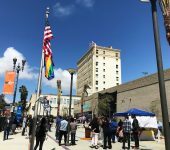 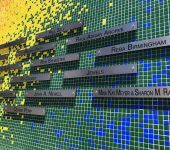 “This space was always envisioned to be a place where folks could gather, where they could protest, where there could be spoken word, where people could get married, where people could come together within our community and our allies, to celebrate the legacy and the struggle of the LGBTQ community,” Garcia said. 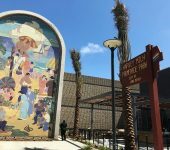 The grand reopening for the renovated park will be scheduled for some time in June. 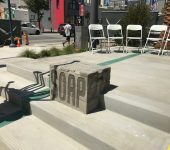 Harvey Milk Park’s Equality Plaza is located at 212 East 3rd Street.